MIMO stands for "multiple-input, multiple-output," and can expand the bandwidth of devices when connected via Wi-Fi, 3G, or 4G. Apple's interest is presumbably focused on 4G LTE, especially as speeds are pushed to the limit during the cellular industry's transition to 5G. The current iPhone XR is limited to 2-by-2 MIMO, unlike its siblings, the iPhone XS and XS Max. The latter phones can achieve twice the 4G speeds of the XR, and sometimes have more reliable connections under weak signal conditions. The research note by Barclays that suggests the antenna improvements was seen by AppleInsider. It isn't clear in the note if this is a prediction made by the analysts, or if there is any solid information from the supply chain suggesting the improvement is forthcoming. The XR's follow-up could also potentially upgrade to a dual-lens rear camera. That would still leave it behind the XS sequels, which are rumored to be switching to a triple-lens design. The third lens is expected to serve a "time of flight" sensor for generating depth maps, improving Portrait photos and augmented reality. 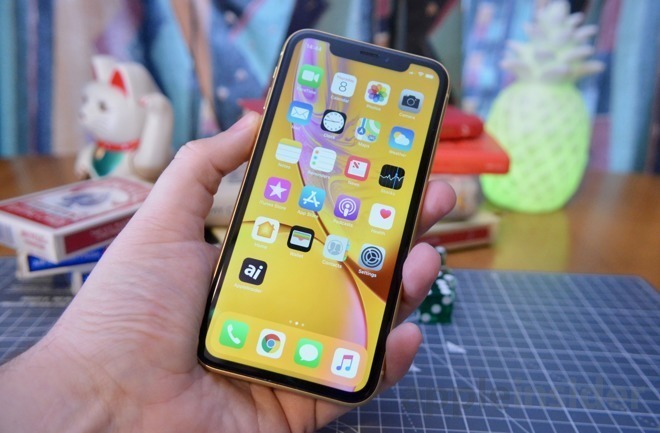 Apple so far appears likely to skip 5G for 2019 iPhone models, even though the first 5G-capable phones are already emerging. It may not consider the technology worth the investment given that 5G won't be widely available until 2020 at the earliest.